9 Reasons you should subscribe to Character Locator. Many people wonder if Character Locator is a good purchase for their Disney World vacation. Yes, it is the best investment for your vacation. If you are going to spend months planning a perfect vacation, but don’t have all the tools in a single place, you’ll spend dozens of hours searching and still likely won’t find all this great info. 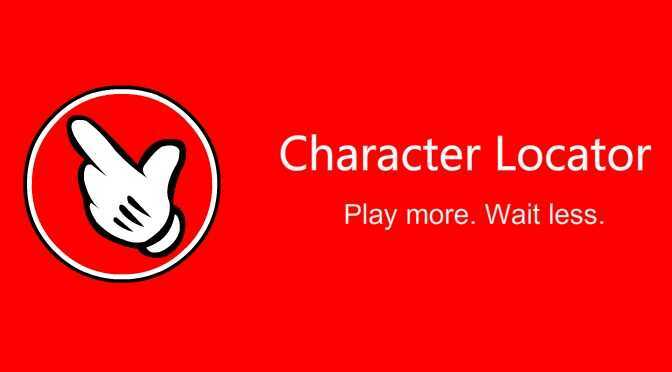 Here’s 9 reasons you should subscribe to Character Locator #characterlocator. NOTE: Character Locator now includes both Disney World AND Disneyland information!!! When we first came up with the idea of Character Locator, it was just a mobile friendly Character schedule application. We’ve expanded it numerous times to build the absolute best Disney World planning application on the internet. You’re not going to find this much information packed into any other application or mobile website. We know having things like park hours with recommendations, weather, parades and shows is important to help you plan, so we not only offer the regular, printable version, but also this awesome mobile version. You’d expect Character Schedules, right? Well, we do our very best to provide you with up to date Character Schedules, locations and maps along with full show schedules. It shows you how long a show or character set lasts and even provides great tips. We even offer full schedules for Halloween and Christmas parties. One of the great parts is the awesome character interaction tips built right in! No other products on the market provide as much information on each ride in a single place as Character Locator. How long does it last? What are weight and size concerns? Is it ADA compliant? Does it offer Fastpass+ or Child Swap? We even include videos so you can decide. You won’t find an application with this much detail. We invested many hundred hours into creating the ONLY application that allows you to include Characters, Shows, Rides and Dining into your touring plan and even built dozens of plans that actually work. Each plan has been tested when the park is busy and they work, if you follow them. You can change up my plans or your can build your own plan from scratch. You can easily add your Fastpass+ or Dining reservation times, so you won’t lose that important info. You’ll rarely stand in long lines by using Character Locator, but we created this fun trivia game to allow you or your child a little fun challenge while you wait a few minutes for a character to arrive. When you visit Disney World, you’ll spend thousands of dollars on a prime vacation experience. You’ll only spend a few dollars on the best tool that can be offered. One question we often receive is why aren’t we in “stores” for Apple and Android. Here’s a couple of reasons: 1) It saves you money. 2) It allows us time to create new features, rather than constantly updating the apk file and resubmitting it to the store. We can live test anything we are doing for any phone and know it works when we release new features. We designed Character Locator to be mobile friendly, but is usable on any device, so it loads really fast. We invest in the best possible hosting services so we rarely experience any downtime with our dedicated server as well. We’re still inventing to make this even better! Be sure to share, so all your friends will have this great, inexpensive tool as well. Play more. Wait less. Can I login and be active from my husbands and my phones or iPad from my same account? They are different cell companies or users? I’m thinking battery and phone reception delays…or if we split up in the park. If i purchase charactor locator..
Am i able to then purchase a plan or get help with planning a universal/disney trip? Ive never planned a trip with both places and am so overwhelmed! Character Locator has stock plans for them and yes you can also purchase custom plans. If I purchase a subscription, is it for an app that I could use during the trip or prior to the trip to plan? I am currently planning a December 2018 trip but may be getting a new phone between now and then, is it worth getting the subscription for planning? Would I be able to download an app once I have a new phone? We have a trip to WDW planned for August 2018 and can begin making FastPass reservations next week. Eek! 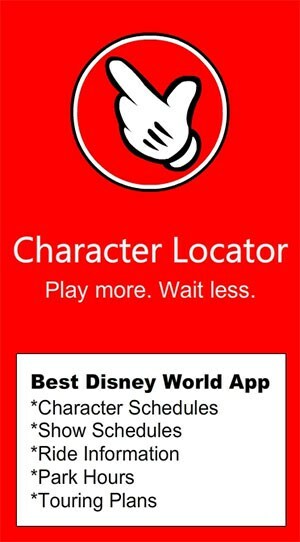 Does Character Locator have information/schedules that the My Disney Experience app doesn’t have? Just wondering if using both would get confusing. I’m already anxious about making FastPass reservations for myself, husband and two girls! This will be our first trip and I’ve read so much about the best way to plan – just hoping I do it right! Ha! I just have to say how fabulous Character Locator is!!! I was at WDW the last week in Jan & I saw more characters and had much better interactions than I have ever had before! Also love the extra’s – magic shots & pressed pennies espeically for me :) So much helpful info around everything and your maps are the best I have seen! I bought a character locator subscription just for character information. I didn’t even know about all the extras. I don’t suppose there’s a tutorial somewhere that would help us learn how to take advantage of all the features? Can you use the app on airplane mode? Character Locator works on any wifi connection or cell connection, but does require data in some form, as any information application would. i am super confused how to use this while at the parks . I have all my plans in here . But there is SO much listed especially with characters – can I print out my plans ? also my plans are all over the place … i thought they would be listed on where to go and when . One of my days has the kiss goodnight as the second thing to do …. i really need help with my plans so that i know where to go and when . PLEASE help !!!!!!! How much is the app for Iphone? We are bringing my 3 year old grandaughter in May, probably only spending one day in Disney World and want to make the most of it around nap time. Does the app have suggestions on character breakfasts? As well as meet and greets? Thanks so much for the reply and the info. Wow! Very cool! We will definitely be subscribing before our trip. When we have subscribed and are in the parks, what’s the best and easiest way to see the character info? We have iPhones and a mini iPad. Do we go to the website each time or do you have an app? Or can I somehow make a link to the website from my home screen on the iPad? Thanks! We are highly considering getting the subscription to Character locator for our upcoming early December trip. I just had a few questions. Do you post on there where you can get the different magic shots for memory maker? Do you still have the character palooza info on there? Does the membership include Disney World info and Universal info? And can we make personalized plans for regular park days and for the Christmas party? Thanks so much! Yes I do have Magic Shots listed. Yes Character Palooza is on there. Includes WDW, DL and UNI. You can make or adapt any plan. Where do I find the trivia game? Help, I subscribed to Kenny the Pirate and I can’t find where to log in. Where is the log in? First, a cheeseburger in WDW still costs more and yes you did miss the announcement. We now offer full Disneyland planning, park hopping planning (the only one that does) and Disney Springs. We did announce the new features. I feel no shame in offering the best product on the market and it’s still the lowest price. Small price to pay for a great product that keeps getting better! We are going to Disneyworld in mid October for 4 days and will be purchasing your app. I have a question for you. We are staying in a Marriott property as we have lots of points to use. That being said, I was wondering if it would be smart to book one night in a Disney property for the day we spend in Magic Kingdom so we can be closer for a break and for getting fast passes and other perks for the one day. We are Florida residents traveling with our daughter and two grandchildren 6 and 9 that are non residents. Thanks for your help! You can book FP 30 days in advance with your tickets. If you do an onsite day, you’ll get FP for 60 days out for that day for regular tickets that are attached to your account. It’s really not necessary to stay onsite, it just gives the ability to book 7 Dwarfs Mine Train FP, but you can do that at rope drop as well. Thank you Kenny! This is our first trip with your help! Character palooza was amazing! My husband kept stating it was too good to be true…..he now feels like a true Disney insider, and our kids are trying to problem solve what to do when they fill up their autograph books in three days! I’m excited to hear that you had a great time! What is the best room to stay in at the Contemporary to see the Magic Kingdom? We have been using the Character Locator for a few years. We visit the park about once a month for about as long….and still can’t plan w/o it! It’s just too awesome!! Hi… About to get a new phone, so don’t want to purchase yet, but can you purchase to run it to on your desktop & phone? Any device. It’s not a download. I am from the U.K. And we can’t your app there. However I am in USA at the moment – will I be able to get it now? Will it only work in USA if I can? Dumb question. Are all your touring plans included or just the normal day to day ones? Going to MVMCP this year and it would be great to have your touring plan for that at my fingertips! Absolutely love it, subscribed 2 years now. Kenny is the #1 place for disney planning. Our last trip was during insane crowds/spring break…..we did every single thing we wanted to and met all characters following his touring plans!!!!!! hi kenny- we have typically used the disney app for ride info, etc… what is the difference/how is character locator better than the disney one? don’t get me wrong, i can’t believe how poor and inefficient both the disney app and the disney site are! also, i would be interested in getting an idea of what your touring plan services would entail? i have a family of 4 and have been twice, we are coming back in oct. kids will be 9 and 7 when there, 7yr old daughter won’t yet be 48inches. i have a pretty good idea of what we want to do/hit in terms of the parks and down time at the pool, where we want to eat, character meals, etc.. we don’t mind waking up super early and getting there for EMH rope drop (i guess this is stupid to do as crowds are bigger?). we will be staying at the beach club. 1. I offer full schedules 24 hours a day, including many that aren’t listed elsewhere. 2. You can use my pre-formatted plans or create your own with the only tool that allows you to include characters, shows, rides and dining into your plan. 3. the plans allow you to input your ADR times and FP+ times and reservation numbers so you don’t have to fumble around looking for them. Custom plans: I create fully custom plans tailored to your desires for rides, shows, characters and dining times to keep your waits to a minimum, often negligible. If you actually arrive before EMH begins, you’re way ahead of the game. I don’t recommend it if you’ll be running late or staying offsite. Many guests think they will do it, set up FP and ADR and then wake up too late to take part, then they are behind crowds all day. We did it and my wife rarely wanted to, so she and my little one slept in and met us later. We used to park hop to the lighter park with them. Simplifies park planning to a great degree. Really, really helpful. Have it! Looking forward to using the mobile version in 3 weeks! Thx! Have it ! Love it! Can not be in the parks without it! Are there instructions on how to create a home screen icon? I just bought the “app”! How do you create a home screen icon with an android phone? Just joined this morning. Trying to do this on an iPhone & can’t figure it out. The only icons at the bottom are for FB, Pinterest & Twitter. Have it. Have had it! Used it! Love it! Kenny you rock apples! !